The Ellipse tool allows you to quickly draw an ellipse or a circle. In the Tools toolbar, select the Ellipse tool. 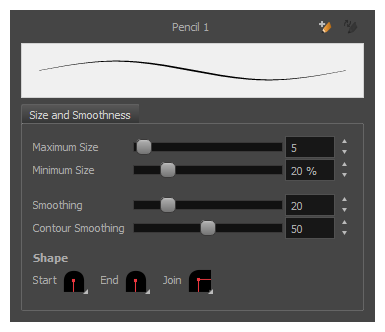 The Ellipse tool draws the same type of line as the Pencil tool. 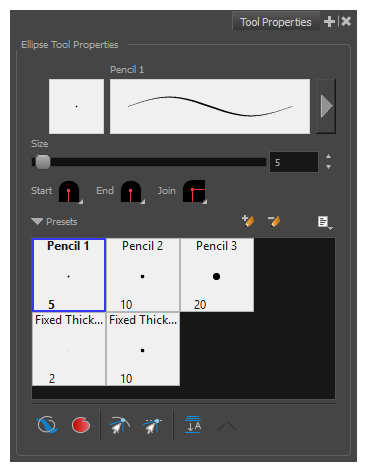 Hence, you can configure the Ellipse tool's lines using the Pencil Properties dialog, which you can open by clicking on the arrow button right of the stroke display area in the Tool Properties view.